Lynda shares how to focus on the atmosphere of a landscape creating minimal composition. 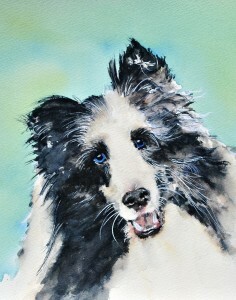 She will also show how to use controlled brush strokes to lift the spirit of the animal and let the personality shine. Lynda Nolte studied design and was a ballroom dancer for 20 years. 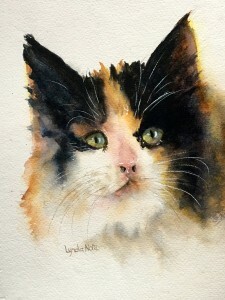 She now uses Watercolor painting to explore ways to share her love of animals and her experience with the outdoors as a Naturalist Park Ranger. 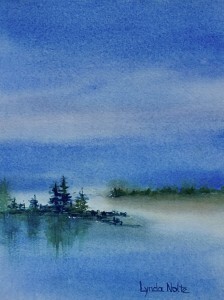 Her home in the forest and surrounding areas allows her unlimited settings which provide motivation for her artwork. 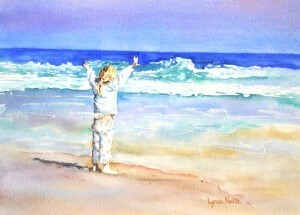 Her art has been juried into numerous events and awarded both in local and national shows. 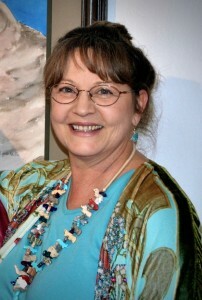 She is represented at galleries in the area including NVAL Carter House Gallery, Main Street Gallery, Snyder/Highland Art Center, Main Event Gallery, Red Bluff and Local’s Gallery. Lynda has published two books which include her animal paintings and famous quotes describing the love and curiosity for our furry friends. 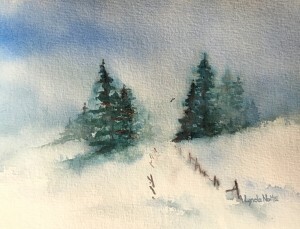 She gives painting demonstrations, holds watercolor workshops in the area and weekly Watercolor classes to teach how the fluid brushstrokes of watercolor turn into magic and bring peace and harmony to our lives.